Your sharing options are displayed, and you can control who can access what. 3Select the Share My Library on My Local Network check box. 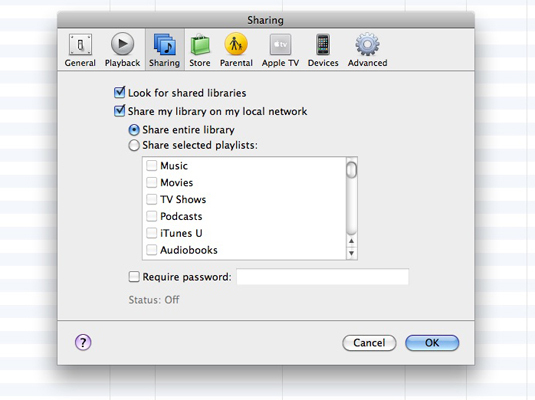 Although you are opting to share your library, you can set additional options to share only certain playlists. 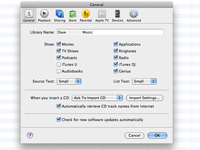 4Specify whether you want to share your entire library or only selected playlists and files. 5(Optional) Select the Require Password check box; then type a password in the text box. This option lets you restrict access to those you have given the password to. 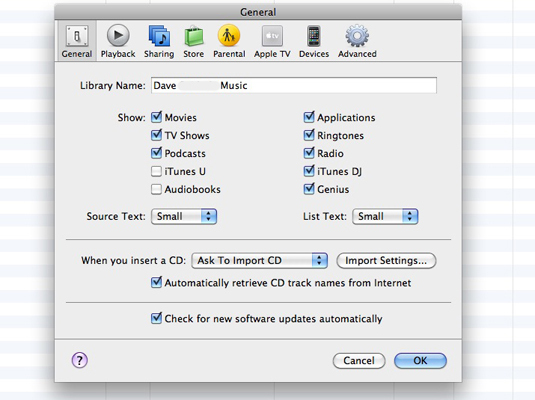 Your shared folder appears within the Source list for all iTunes users who enabled the Look for Shared Libraries check box on the same pane of their iTunes Preferences dialog. Note that the music you share with others can’t be imported or copied, so everything stays legal.